Extra, extra! Niki Mosier just published an updated version of this post for 2018. While much of the information in this post is still relevant, we encourage you to check out the updated version for the latest and greatest local citation information. A number of years ago we posted a list of Top 10 Free Places to List Your Business. It’s time for an update. I wanted to avoid bias, so I didn’t look at the old list. What is new? What is relevant today? Guess what — I came up with a near identical list. Some of the details have changed and the landscape is distinctly different, but the citations that really matter are surprisingly consistent. Then again, their consistency is exactly why they still matter. They have held up for years, are still relevant, and retain authority — precisely the characteristics of a valuable citation. Managing your online profiles in 2016 is just part of doing business. You have to do it. If you’re reading this you already know that. Unless your business is brand-spankin’ new it’s already listed on these sites anyway. Your job is to make sure the business data is accurate and complete. If you don’t think business listing management matters, consider this: If you don’t claim and manage your profiles your competitor might do it for you. Hijacking listings is more common than people think. I’ve seen countless profiles that have been claimed or fed false information. Most commonly, the linked website is directed to a competitor, or worse to a spam or malware site. Preventing hijacking is just one of the many reasons you really need to pay attention to your business listings. Here’s the thing: when people find bad business info, they don’t blame the website or app where they found it — they blame the business. They blame YOU. The best way to combat this is to claim your profiles and be sure the data is accurate. You can (and probably should) syndicate your data, but you should try to manually claim your profiles on the most important citation sites. Claiming your GMB page is not an option, it’s a must-have, and it’s free. 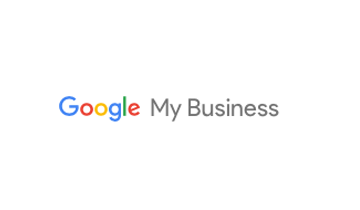 This is the very best tool you have to tell Google exactly how you want your business information to be displayed; your name, address, phone number, and website. If you’re advertising on AdWords and you want to use Location Extensions, you need to claim and link your GMB with AdWords. Bing has come a long way in terms of making it easy for businesses to claim and edit their listings. The dashboard is improved and support is mostly helpful. Bing is a top search engine and another must-have citation. When editing your profile Bing usually asks to “Validate your address”. This almost always means appending the Zip+4 digits to whatever you listed. Watch out! Sometimes they change the zip completely. Remember, consistency is essential. If a top site like Bing has a different zip it will hurt your Google ranking. Adding the Zip+4 is fine. Changing the root is not. With an enduring brand, Domain Authority of 91, and actual human users, Yellowpages.com remains a top business citation. YP is also a good source for customer-generated reviews, not the syndicated reviews found on so many other sites. The phone verification and profile update process is also straight forward, compared to other directory sites. YP pulls data from many sources. Two things can happen as a result. 1) We see a lot of duplicates. They don’t always pair new data with an existing listing. Duplicate listings are bad. 2) Unless you claim your listing, the data may change. We like Superpages for a few reasons. For one, it still exists. Like YP, it has strong domain authority, is well established, and has actual human users. For business listings Superpages excels in expanded categorization, specialties and geo-focus. These can be really helpful if a location is having trouble breaking through. Superpages is also great because you can manage multiple stores in a single account and they don’t require phone verification. Plan some extra time though; the dashboard is slower than molasses in January. The Supermedia dashboard has gotten even more wonky lately. Supermedia merged with Dex One in 2013. They are still trying to fix the back end, mostly they just want to sell advertising. You can try to claim a listing or create an account. These links worked when this blog was posted. Yelp is ubiquitous in Google local search results. To play in Google, your business needs to be in Yelp. Claiming your free Yelp profile gives you just about everything else that their (typically expensive) paid programs offer. Most importantly you can fix your data, add robust content about your business, add photos, and respond to reviews. Building out your profile content will improve your performance in Yelp and Google. We’ve been told by Yelp that users spend 35% more time on profiles with 5 or more photos. FYI, you can manage up to three free profiles in a shared dashboard. More than that requires multiple accounts or a paid program. Yelp Events is another free, simple tool you can use. Google loves fresh content. Post any event here in 3 minutes to gain exposure for your Yelp profile and create more brand mentions. I lump these together because they are so similar, and quite different from the others on this list. Both have influential business listing databases. Infogroup has been around since ye olden days of yellow paper, and continues to provide business data to hundreds of websites and directories. Localeze has a long history and is a dominant business data provider. As stated above, your business is probably already listed here. Both allow free claiming and updates. You should do so. Infogroup goes by the name ExpressUpdate; the business facing side of Infogroup where you can claim and manage your business listing on the Infogroup database. Localeze is owned by Neustar, and is sometimes referred to by that name. With their free programs you can only edit the core NAP information (name, address, phone). If you want to add rich content you’ll have to upgrade to a paid subscription. But, many of the sites that use their data don’t use the additional content. For us, the premium does not pay off. On sites where you really need rich profiles your best bet is to claim them manually. You do have a Facebook profile, right?! It takes 90 seconds to verify and edit your business information. Just do it. You DON’T have a Facebook page? Don’t be so sure. Like every other online directory, Facebook gets data from other sources and will create a page for a business if it’s not already in their database. Most businesses are not aware of these “Unofficial Pages”. We have a multi-location client who said, “we don’t have pages for the stores, just our brand”. Guess what? Each store had an Unofficial Page. This is SO easy to fix. Sign in to Facebook. Search your business name and city. Follow the instructions. Seriously, just do it. Too many businesses focus on search engines and directories, but overlook the obvious. LinkedIn has a domain authority of 100. ONE HUNDRED!!! Some other sites with 100 domain authority: Google, Facebook, Wikipedia, New York Times. Get it? Business profiles in LinkedIn are brimming with rich data including industry, specialties, text, job postings and potentially thousands of networked connections. If you don’t already have a business page on LinkedIn it’s time to set it up. Not a tip, really, but an example of why you should be on LinkedIn. Two Octobers is a little agency. We hit 18 employees last week. 2,821 people follow us on LinkedIn. 51 of those are C-Suite execs — movers and shakers. They’re all interested in our little agency. What is up with Yext? That’s a post I’ve been meaning to write… In recent years Yext has partnered with many websites and directories. In most cases it’s pay-to-play ad placement disguised as listing data management. But there’s something more going on. I believe Yext wants to be a legit source of business data. To that end, they have partnered with some high-profile sites to manage their entire business database — not just advertise over it. MapQuest was one of the first. Others have followed, notably Yahoo and Citysearch in 2015. The common thread seems to be once powerful brands struggling to maintain relevance and cash flow. Here is the $1 Million question: How will Google respond? MapQuest, Yahoo, Citysearch? Each is/was considered a top tier citation. Will that continue? Irrespective, we do not recommend paying a premium for Yext. Citysearch partnered with Yext in 2015. Sad to say that if you want to claim your listing on Citysearch you now have to go through Yext. We no longer recommend Citysearch. Citysearch continues to accept data from ExpressUpdate / Infogroup. This is now the best way to influence your business data on Citysearch. In 2015 Yahoo extended their relationship with Yext. It’s too early to say how this will play out. Communications from Yahoo assert that businesses will still be able to manage their basic NAP data. “Still” is a funny choice of words, since this has been near impossible for years. Yahoo has been so obtuse that most SEOs gave up on it long ago. We’re watching, but we’re not buying. Work on everything else before you worry about Yahoo. Wait and see how it plays out. Is a paid syndication service worth $50 – $100 per year? Yes. Even if you have a tiny marketing budget, $100 is probably a small fraction. Remember that accuracy and consistency are paramount. What does your GMB say? Is it accurate? Pay the $89 and syndicate the GMB info. What is business listing syndication? These services push your business information to literally hundreds of databases, online directories, local discovery sites, GPS services, mobile apps, and more. Syndication gives you greater control over the information these sites present about your business. Basically, they create and update citations. The benefit is that YOU decide what information they syndicate. Otherwise, THEY will use whatever they find elsewhere. At this point in the digital age business listing syndication is a commodity. They compete mostly on price. They all cover the basics, though many will happily up-sell you. The most commonly used services include Moz Local, UBL, Vendasta, Localeze, and Infogroup. There are others. Why should I pay for it? Can’t I do it myself? You can’t do everything yourself, and there’s no reason to. If you manage 25 top listings manually you’re getting 75% of the value of citations*. Syndication hits hundreds of smaller websites and directories. You need to do it, but you don’t need to do it yourself. * 67% of statistics are made up on the spot. Two Octobers provides Local SEO and business listings management services. Our clients range from single location boutiques, to service area businesses, to national chains with hundreds of locations. This is a good list if you’re just getting started with citations. If you would like to learn how we can help your business, give us a shout, because we’re probably not going to blog about our secret sauce.